4 easy things you can do right now to improve your WordPress security. More than 70% of WordPress installations are vulnerable to hacker attacks and the total number of hacked WordPress websites hovers around 200,000 each year. Here are simple some tips to up the security of your WordPress site. [UPDATED] Many site administrators feel that site security is a complicated, development heavy process and, yes, there are a number of security measures that you would need a developer to set up. Nevertheless, performing the four measures in this article can be done easily by a non-developer. 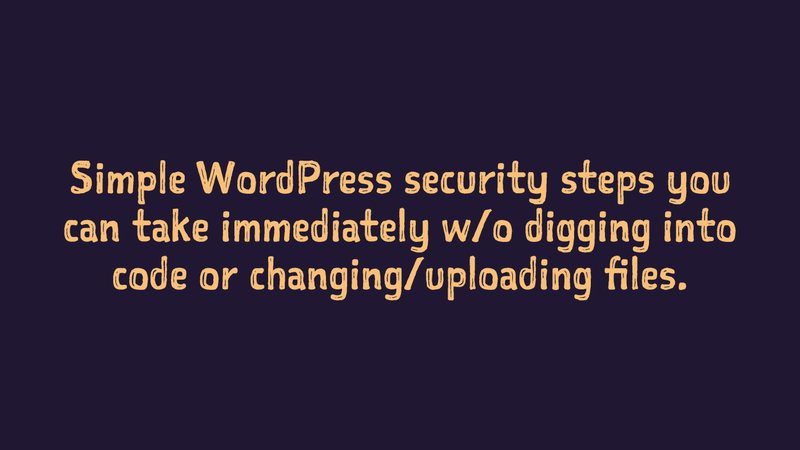 These simple to implement security steps will move your site ahead of 90% of WordPress sites out there and go a long way in avoiding a site hack. Why is site security so important? To stay on Google’s safe browsing list (the GSB). Prevention is always easier than fixing a hack. Once you’ve been hacked, there’s an increased chance of future hacks. So, what are the things? Never use admin as your username. Keep WordPress and your themes / plugins updated. 1. Never use admin as your username. 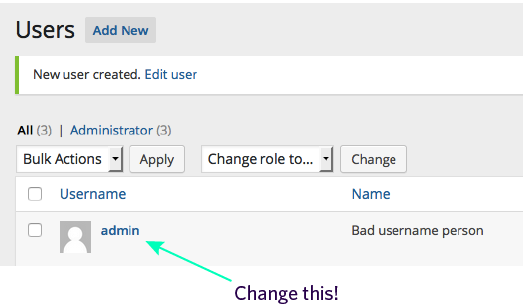 If a current username is admin, you need to create a new administrator account, and delete the admin account. Go to [yourwebsite]/wp-admin and sign in using the ‘admin’ account. Hover over Users and click the “Add New” button. Fill in the fields – be sure to choose a strong password with at least one symbol. Set the role to “Administrator” and click “Add new User”. 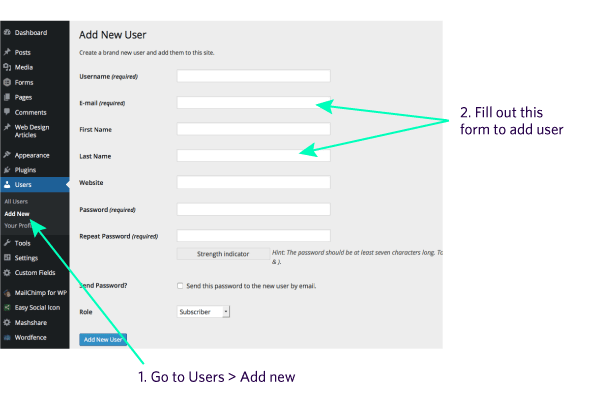 Log out of the current ‘admin’ account and re-login using the account you just created in step three. Go back to Users > All Users. Hover over the admin account and click “delete”. Wordfence is the premier WordPress security plugin protecting your website from hacks and malware. It does this covering an enormous amount of ground. As you can see, WordFence is a very detailed plugin; but you don’t need to use everything for it to be effective. Many of the default settings are exactly what you need. Under Alerts – alerts are sent to your email. It can mean getting a fair amount of mail, so you can limit the numbers by unchecking some of the boxes, but I recomend leaving them as is and using an email other than your main email. Initial site scan + later manual scans (free) or regularly scheduled scans (need to pay if you want to use this feature). 3. Keep WordPress and your themes / plugins updated. Two-factor authentication adds a second level of authentication to a login. It means that while a brute force attack on your site might be able to access the one level of authentication, it would also have to access this separate level at the same time. This greatly reduces the chances of such an attack. There are a number of good two-factor authentication options for WordPress, including: Two Factor Auth; Clef; Google Authenticator. 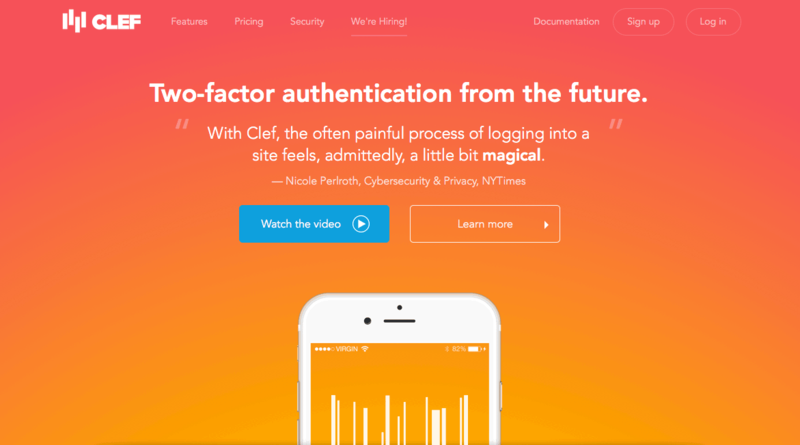 I suggest trying out Clef, which is extremely simple two-factor authentication app and plugin where you simply point your phone at the log-in screen to login. It uses the highly trusted RSA public-key cryptosystem. Under “To use Clef, you need two things: the plugin on your site and the app on your phone.” Click “Get the Clef App” where you can very easily text yourself a link to the app. Once you have the app on your phone, you are prompted to create a PIN number. You then synchronize the app with your WordPress site. Open the Clef app and point your phone at the waves on the screen. Hold for a few seconds and you app is now in sync with your WordPress site. At this point, every time you go to login, you will be asked to hold your phone up as your means of login. Takes 1 second and you are logged in! There is an excellent, in-depth Clef tutorial here with further setup details which also includes info on how to disable your regular passwords. Avoid most free themes. Use only trusted plugins. Themes are not that expensive. If you are going to go with a free, pre-designed theme, I suggest sticking to WooThemes free themes. Read reviews on plugins. If you are newer to WordPress, stick to plugins that have 1000s of downloads and at least a 4 star rating. Do frequent backups of your site! – Suggested backup plugins: Backup Buddy (Premium); Vault Press (Premium); BackUpWordPress (Free).. Even if you leave it at the measures introduced in the article, you will have greatly reduced the possibility of a site hack. But there is more you can do. Below are some ideas to look into if you want to take it further. I don’t go into detail in this WP security basics article but will likely be the subject of a more advanced article. Make security changes to the wp-config.php file including installing security keys. More info. Strengthen file permissions. More info. Use SSL: it’s the ‘s’ in ‘https’ More info. Find a webhost that offers the use of SFTP instead of FTP. More info. Change the WordPress Database Prefix. Through database or using the easy to use plugin Change DB Prefix. More info. Taking the precautions in this article is well worth your time. Recovering from a successful hack will quickly prove to be much more time and resource consuming. So go ahead and implement them today!